Isaiah the prophet foretold of the coming Messiah sent to this earth as the once and for all perfect sacrifice for sin. 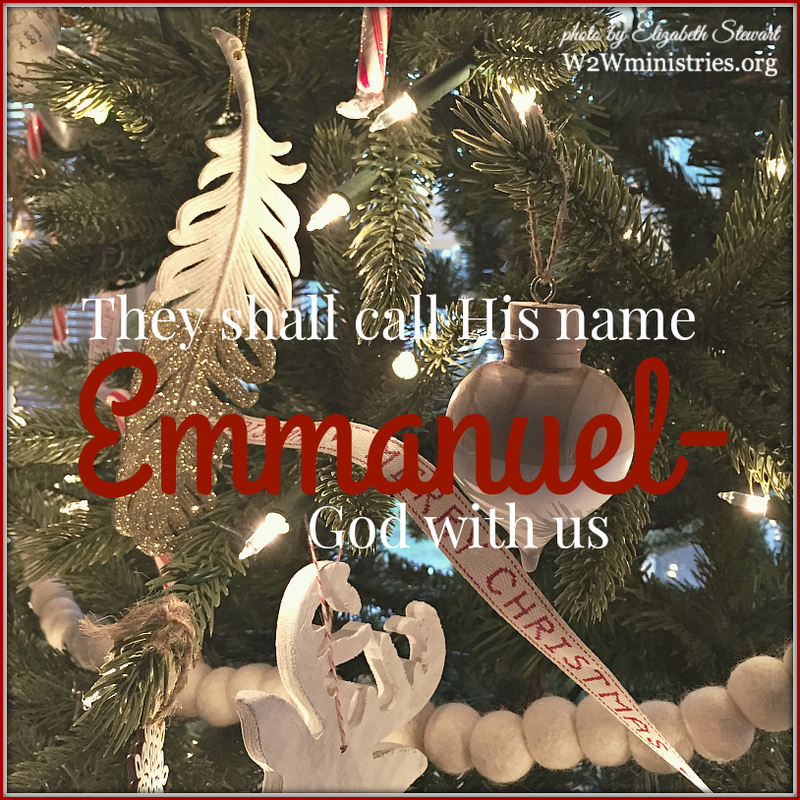 He said that He would be Emmanuel, God with us. Isn't that powerful? What other god of all the religions this world has to offer wants to be with his people in loving relationship? I'm so thankful that we have a God Who is lovingly, faithfully with us! Psalm 46:11 says that He is with us as a stronghold and a refuge that we can always go to. I have run to Him as my refuge more times than I can count over my lifetime, and He has always been a strong and sure shelter and fortress for me. Ephesians 3:20 says that He is not only with us but His Holy Spirit is within us working in us and thorough us and for us in ways that are abundantly more than we can ask or imagine. What hope that gives! Romans 8:9 says that He is working within us to direct us. I sure need His help steering my life, don't you? Hebrews 13:5 is my favorite. It says that He is not only with us, but that He will never, never, never leave us or forsake us. This is a constant comfort to me. If everyone else leaves or forsakes me, God still never will. This Christmas season, it's easy to get focused on the beautiful story of Jesus as a baby born in Bethlehem. I encourage you to take your thoughts a step further, and think about how He has been with you personally throughout your life, and how He is with you right now, in good times and bad, in sorrow and in joy, in failure and in victory. He is right here and He will never fail us, leave us without support, or relax His hold on us. (Hebrews 13:5 Amplified Bible 1987 version) That's a promise! Amen! Love this, my friend.